Anne-Marie Bungay-Larose presents her award-winning Paloma. Photo by Josh Armendariz. 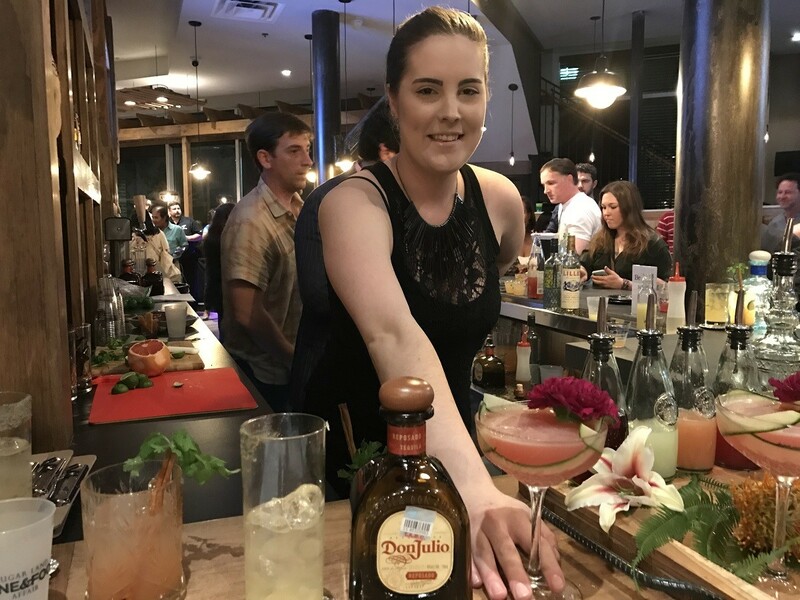 Last night, at the former Bacon Bros. location in Sugar Land Town Square, three bartenders squared off against each other in the Sugar Land Wine & Food Affair “Bar Fight!” aka “Battle Don Julio Paloma.” When it was all over, only one cocktail from one competitor would be deemed the Official Cocktail of the Sugar Land Wine & Food Affair. The competition judges were this author—Josh Armendariz of Houston Food Finder—Cleverley Stone of Fox 26 and The Cleverley Show, Carlos Brandon of Local Houston, lifestyle editor Abby Ledoux of Houstonia magazine, contributing editor Megha Tejpal of Houston City Book and Don Julio’s Mayra Isaís. Participants were judged on presentation, creativity and flavor with each category worth up to five points. Peter Clifton kicked off the competition with his El Segundo cocktail. He combined grapefruit simple syrup, lime juice, grapefruit juice and Don Julio Reposado. He shook the cocktail and poured it into a highball glass accented with a toasted cantaloupe seed and black lava salt rim. Then it was topped with a floater of sparkling wine for maximum effervescence. The cantaloupe and lava salt rim was exceptional and hopefully foreshadows what’s to come when Clifton reopens Ready Room in a couple of weeks, a cocktail bar adjacent to Ritual. Jim McConn served his The One and Only cocktail next. This drink, created with the build method, was comprised of cilantro-infused Don Julio Reposado, pisco, Lillet Blanc, Texas grapefruit juice, homemade palm sugar simple syrup and blood orange soda. 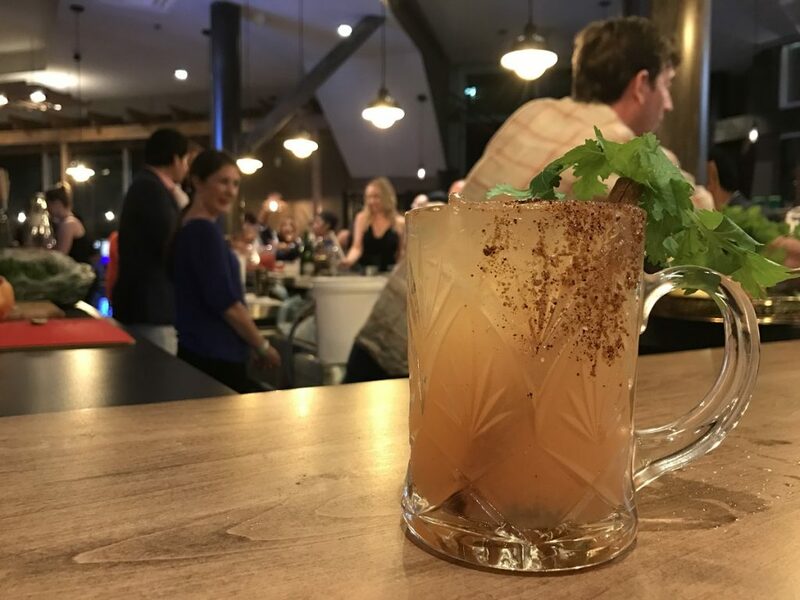 It was served on the rocks in a chili and lime salt-rimmed glass and garnished with a cinnamon stick stuffed with cilantro. As the judges took the first sip, McConn yelled “hold up!” and took the beautifully presented cocktails back. It turns out he’d been infusing the tequila with fresh cilantro and initially delivered the cocktail without the spirit—reminding me of my first visit to Américas ordering virgin daiquiris before prom many moons ago. McConn mixed a new batch of full-strength cocktails and the judges didn’t factor the misstep into the scoring. Last but not least was Anne-Marie Bungay-Larose’s Spoon Off 6 Paloma. She combined Don Julio Reposado, lime juice, watermelon juice, grapefruit juice, St-Germain elderflower liqueur and a homemade ginger-chili-grenadine combination into a stunningly beautiful cocktail. Thinly sliced cucumbers lined the coupe glass and it was also garnished with an aesthetically pleasing inedible flower. As the drink was delivered, the cucumber aroma was quite strong but not overpowering on the palate. When the scores were tallied, it was Bungay-Larose’s Spoon Off 6 Paloma that took first place. The bartender from The Middle Spoon was awarded an engraved magnum of Don Julio 1942 and various other Don Julio swag. 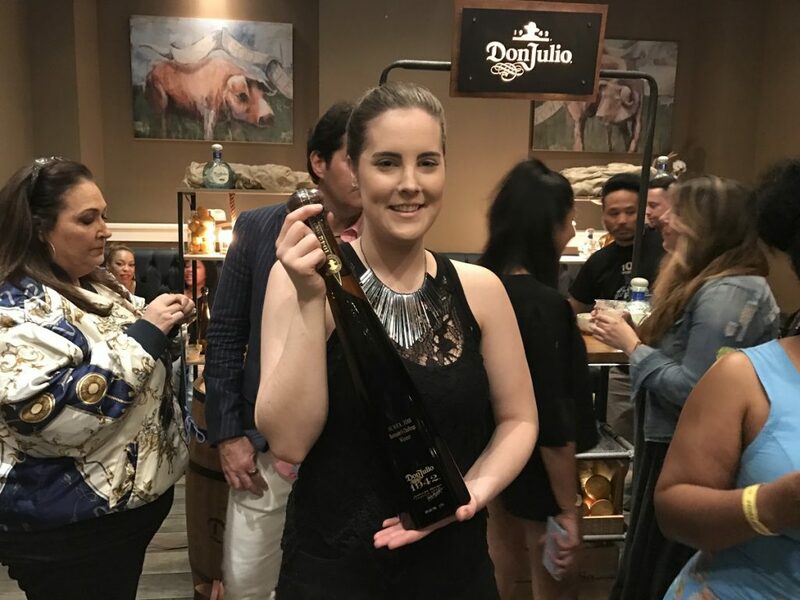 Her Spoon Off 6 Paloma will also be designated The Official Cocktail of the Sugar Land Wine & Food Affair 2018. Guests at Friday’s Grand Tasting, Saturday’s Sip and Stroll or Sunday’s Bistro Brunch will be able to taste the award-winning Paloma. Having earned 14 of the possible 15 points from the judges, it’s a good bet the Spoon Off 6 will be a hit with attendees, too. Editor’s note: article updated to correct Megha Tejpal’s current role at Houston City Book.